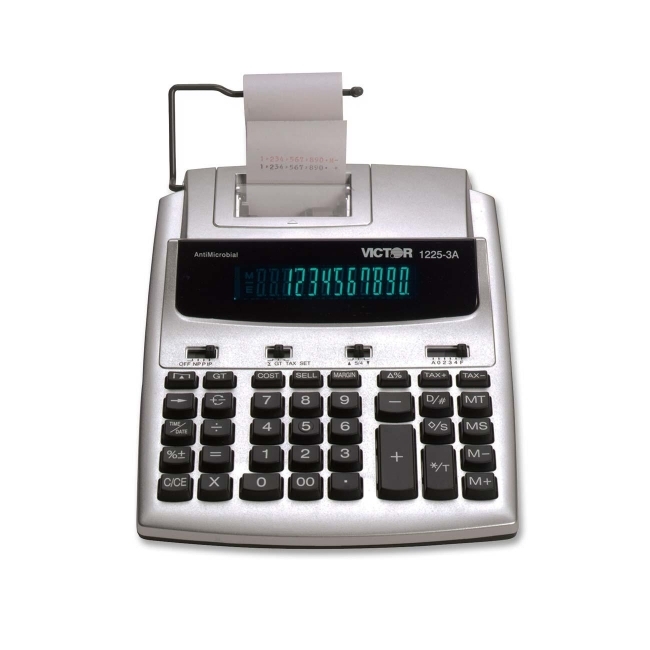 12-digit printing calculator offers antimicrobial protection that reduces growth of microbes and bacteria that can cause discoloration and odors. Print 3 lines per second in two colors. Calculator generates large print on paper tape. Design features a fluorescent display, large well-spaced contoured keys, built-in metal paper arm and PC touch keyboard. 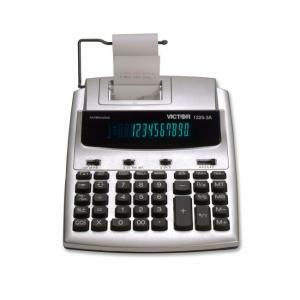 Functions include cost/sell/margin; tax +/- keys; delta percent of change key; four-key independent memory; change sign; percent; grand total; date/non-add; backspace and sigma keys; item count and automatic constants. Print or display time and date. Calculator runs on AC power and includes an AC adapter.